Ever wished you had a board of advisors? On Monday February 5, 2018 the PixPro Inner Circle was introduced on the Pixpro Labs LIVE Show. The Inner Circle consists of Sarah Watz, Rod Martin and Joe Sonne. They talked about their new mastermind group for like-minded small business owners which starts this month on February 15th. "Inner Circle" sounds a bit like a secret society doesn't it? It's not a secret society but rather a new program perfect for small business owners who want to join a mastermind style group. We hope you have enjoyed the Pixpro Labs LIVE Show. On this special episode of the show, we'd like to introduce you to the Pixpro Inner Circle, a mastermind style group for small business owners. The leaders of Pixpro Inner Circle Sarah Watz, Joe Sonne, and Rod Martin are joining us live. On this episode, we talked about this new opportunity that you can join where we take the kind of information you get in the live show and take a deep dive into the topics that interest small business owners. If you want clarity in your business, business development advice from the leaders and the other members you should really check out this episode! What's the Inner Circle all about? The exciting thing about this kind of group is the help you'll get, not just from the moderators but an entire group of business people ready to share their knowledge and experience with you. We bring in experts from different areas of business. You will hear solutions to the problems and challenges you and your company face. The Pixpro Inner Circle is a global, exclusive group for those who own or lead a product or service company. What's going to happen in these meetings? The Inner Circle is going to meet online for 90 minutes every two weeks. Each session begins with a short presentation about a current marketing or activity development topic. Then we discuss marketing, goals, business development and sales. Sometimes there will be several participants in the conversation, other times there will be fewer. Anyone who participates can ask questions and contribute their experiences. All the sessions are recorded and will be available to all members. The Facebook group will be your network for receiving and giving help to each other through group discussions between the meetings. You won't be selling to one another, although there's nothing to stop you from doing business together. The intent is that you have access to a group of business peers that can act like a board of advisors for you. 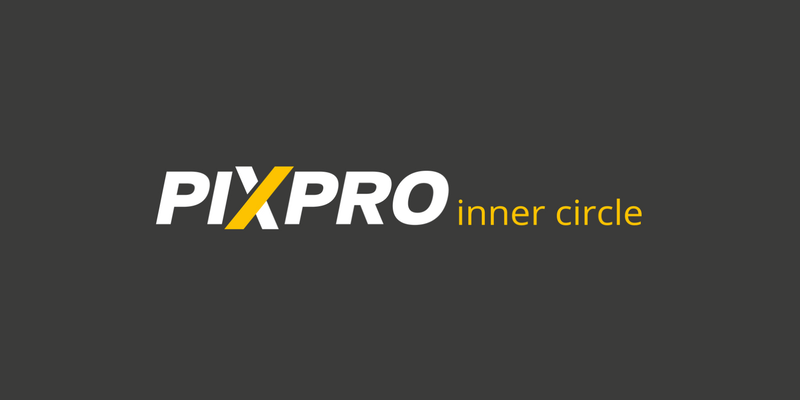 What does a Pixpro Inner Circle membership cost? For a limited time we are offering the introductory price of just $97 per month. Membership can be cancelled at any time. This founding members special introductory price will remain for the duration of your membership even after the membership price increases. If you want to develop yourself and your business, get inspiration and tips from others and reach your goals then Pixpro Inner Circle is for you. If you need more information go to our PixPro Inner Circle page.